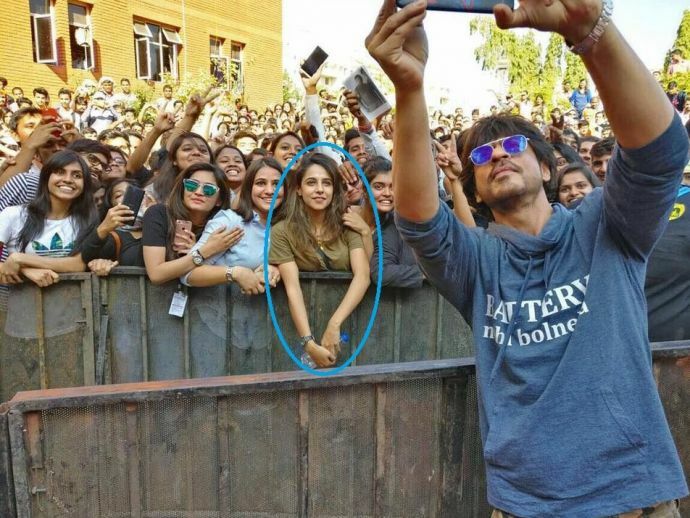 The Girl That Everyone's Obsessing Over From SRK’s Pune Selfie Has Pictures To Die For! But this time instead of SRK, people are talking more about the girl in this selfie. Recently, SRK went to Symbiosis Pune to promote his latest film Raees. Like every time there was literally a tsunami of fans who came for a meet and greet with SRK. SRK even posted about it on his official facebook page. But this time instead of SRK, people are talking more about the girl in his selfie. Well if you are looking for her, we are here to help you! So the girl’s friend reached out to Buzzfeed and they went on to interview her. Turns out her name is Saima Hussain Mir, a 21-year-old Kashmiri studying at the Symbiosis Institute of Design, Pune. So we looked into her profile and we were just mesmerized by her stunning pictures.